If you frequent Ireland’s swimming spots over the coming months, like us, you’ll notice huge numbers of folks hitting the water in what are like large swimming races. 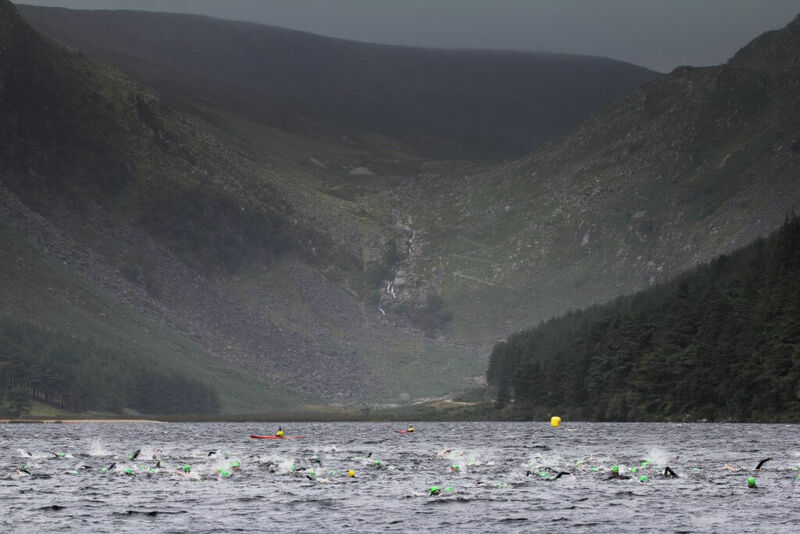 Open water swimming has become a phenomenon in Ireland. And it makes the hearts of Outsider soar as it’s all about taking advantage of the wonderful world that’s around us. So, open water swimming, what’s it all about? What motivates perfectly sane people of all shapes, sizes, ages and ability brave the cold water of the seas, rivers and loughs of this island and swim for longer than most of us care to think about? 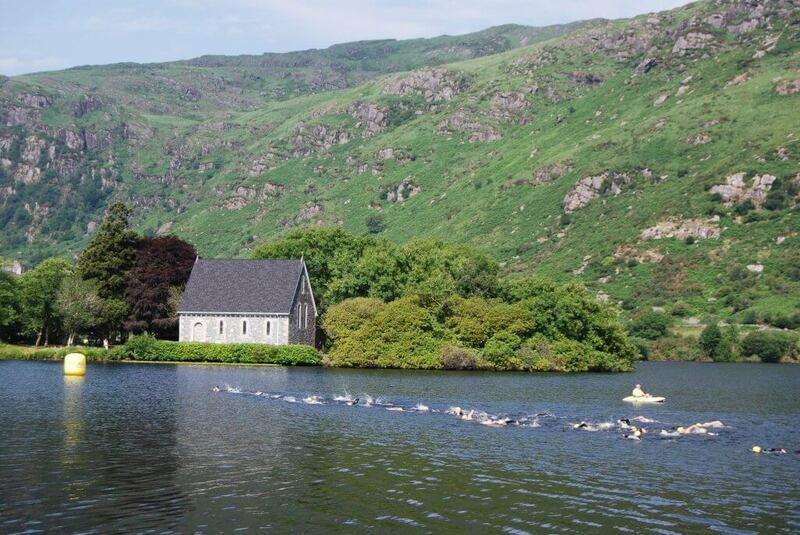 Swimmers battle for glory in some of the most beautiful spots in Ireland. Open water swimming is about as democratic as sport gets. Just about anyone can submit their bodies to the open water and compete for a chance to take glory, whether that glory is a shiny-trophied first place win in an iconic swim event or simply the personal glory of just finishing a race. 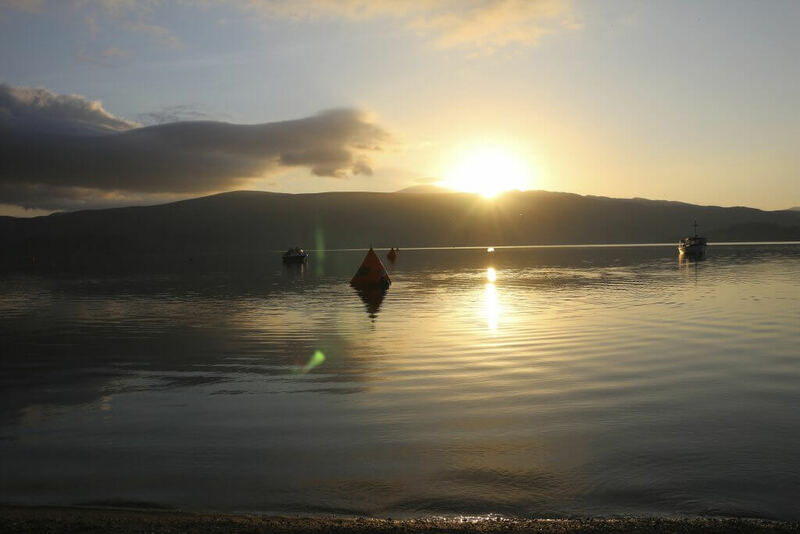 The basic definition of an open water swim is what it says on the tin; any swim that takes place in open water. Sea, river or lake. There are no set distances for races but they generally range from 750m to 2.5km. Longer open water races can run for up to 25km, with some incredible human beings accomplishing solo feats like swimming the English Channel, the Seven Oceans (first completed by Irishman Stephen Redmond in 2012), and the phenomenal Cuba to Florida 180km swim by Diana Nyad, aged 64, in 2013 (check out the amazing videos on YouTube). Distances of 10km and over are generally referred to as marathon swimming. If you are not ready to take on a race just yet, head to one of our favourite rivers and lakes in Ireland for a dip. Or perhaps one of these sea swimming spots that we promise will take your breath away. Distances may vary but they generally share one common denominator – pure open water swimming should be done without the ‘aid’ of a wetsuit. A wetsuit makes you more buoyant in the water and is therefore seen as an advantage, not to mention keeping you warmer longer so able to endure longer periods in cold water. Races that are swum without wetsuits are described as ‘skins’ events. But remember we’re an island nation, surrounded by water, and the Irish grit and determination for all things a little bonkers is strong. Some open water races, however, permit wetsuits but wearing one may preclude you from winning or earning points. There are other events where wetsuits are entirely permissible and even insisted upon (certain Irish triathlons for example) for the less initiated open-water enthusiasts. 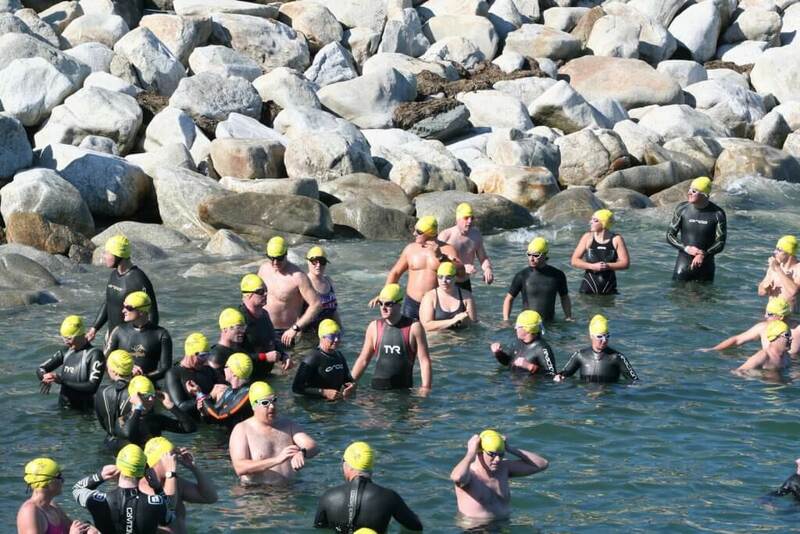 The Great Wicklow Swim – wetsuits are permitted in this race, but you’ll still find enthusiasts in skins alone. For most people, the idea of swimming non-stop in open water with nothing but togs, goggles and swim cap to protect them from the elements may seem daunting. But remember we’re an island nation, surrounded by water, and the Irish grit and determination for all things a little bonkers is strong. So why not give it a go? Most races are handicapped (by ability, not the cold) and prizes are up for grabs in all sorts of age categories too. They happen, calm(ish) seas-permitting, most weekends June-September. There are iconic events like the 1.5km Liffey Swim in Dublin or 2km Vibes and Scribes Lee Swim in Cork. These have been running since 1920 and 1914 respectively. Certain events like Liffey Swim and Dun Laoghaire Harbour Swim require entrants to complete a number of open water events to qualify. So be sure and check the individual event’s entry requirements. The tranquil waters of Luss Loch Lomond – perfect swimming conditions. If your interest is piqued, another great place to start is Swim Ireland where you’ll find a full list of swim clubs to join. The club membership fee will include insurance and membership of Swim Ireland, necessary for competing in a lot of events. And if you think you’d really like to do your first open-water swim in a wetsuit, just to get the hang of it, check out Open Water Swimmer. All of their races allow wetsuits and take place in great locations. 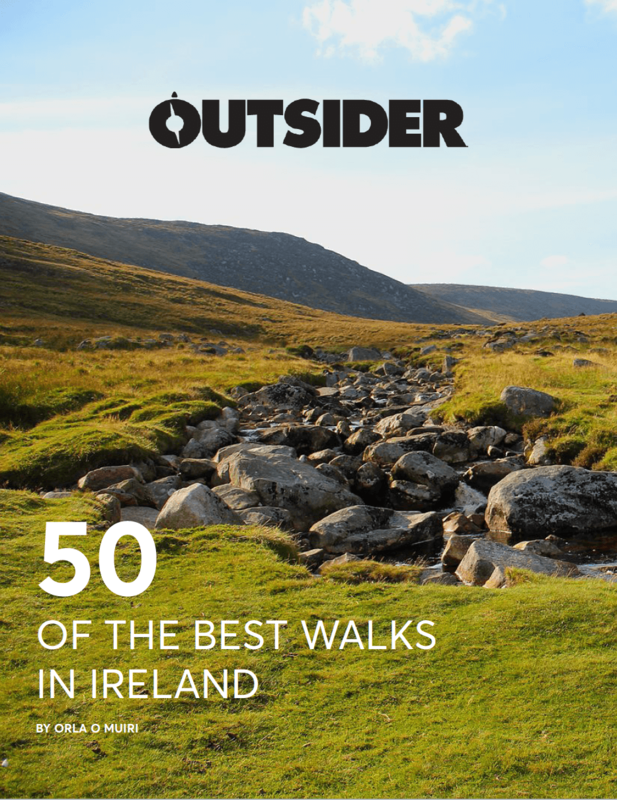 Take your pick from Gougane Barra in Cork, Glendalough, Co Wicklow, or we have our eyes on the event in stunning Lough Key Forest Park, Co Roscommon. Open water swimming is a great sport that welcomes all ages and abilities. Don’t be nervous; just like the events, clubs cater for all ages and abilities and they’re a welcoming, encouraging and social bunch. That’s the thing about open-water swimming, good craic and camaraderie abound. We’re all in this cold water together. Take a look at some of our favourite open water swimming events in 2018. For more on the race series, visit Open Water Swimmer.